“Tignous”, illustrator and cartoonist Bernard Verlhac, was a veteran of the Scientology beat – and one of the 12 victims of the attack on the offices of French satirical weekly Charlie Hebdo. Back in 2009, during the first days of the original trial of Scientology for organised fraud, the press bench was packed. There was some quiet, but tense, competition for the best seats but as the days went by, the media presence fell away and there was elbow room again. One visitor however commanded universal respect and was regularly granted the best seat as a matter of course. This was Bernard Verlhac, otherwise known as the cartoonist and illustrator Tignous. Tignous had already made a name for himself as a regular contributor to Charlie Hebdo, Fluide Glaciale, Marianne, L'Express and other French publications. 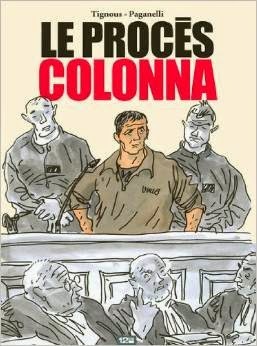 In 2008 he covered the trial of Yvan Colonna, a Corsican activist accused of the murder of the region's top French official, Claude Erignac. The book he cowrote that sprang from his coverage picked up a prize the following year. Tignous already enjoyed a certain notoriety then – but in any case nobody was going to deny an illustrator the best seat on the bench. We were all curious to see him at work. I only had a few desultory exchanges with him during recesses in the proceedings. He seemed a pleasant enough guy. His coverage for Charlie Hebdo was an effective distillation of key moments of the trial and choice quotes – all set off with elegant illustrations. I had no idea at the time he was behind some of the more vitriolic cartoons I later saw in Charlie Hebdo. And I had no idea he was a veteran of the Scientology beat. For it turned out he had been covering the movement – and its court battles in France – at least as far back as 1996. 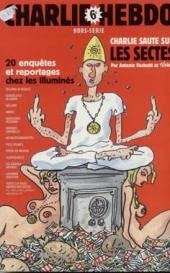 In 2004, he collaborated with journalist Antonio Fischetti of Charlie Hebdo in a special issue on cults, Charlie saute sur les Sectes (Charlie jumps on Cults). Fischetti took the time to go undercover inside the movement, and a browse through this web-archived extract of his investigation suggests they both did their research. Neither one of them was sparing of the greed and stupidity at the heart of Scientology. In one illustration of Scientology's e-meter, the device used in its version of therapy, Tignous describes it as a cross between a lie detector and a gégène – the electro-shock device the French used for torture during the Algerian War of Independence. That same special edition of Charlie Hebdo carried extracts from Tignous' coverage of another Scientology trial – the one in Lyon, back in 1996. Several Scientologists were convicted on fraud-related charges – and one for homicide involontaire, or manslaughter, for having contributed to the suicide of Patrice Vic. Father-of-two Vic was under so much pressure to borrow more money for Scientology courses that he ended up jumping to his death from a window of his apartment in front of his horrified wife. Tignous was among the 12 victims of Wednesday's brutal attack on the offices of Charlie Hebdo. The weekly magazine's crude, take-no-prisoners style of humour is not for everyone. Its “Je t'emmerde” attitude strikes many as striving too hard too offend. 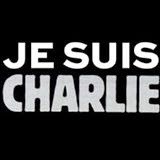 But the overwhelming public response tonight – including spontaneous vigils across France for the victims – spreads well beyond Charlie Hebdo's readership. Nor should we forget the two police officers slain as they tried to stop the Jihadist attackers – one of whom, according to the latest reports, was a Muslim. See here for more examples of Tignous elegant court drawings. Thank you for the wonderful tribute. We will not forget him. Vive la France, vive la liberte! "A Tignous drawing shows a grim collection of true believers. “Scientology doesn't have deaths,” one of them declares, “...just accounts that we close.” "
Very fitting caption by this man, thanks for your tribute. Has anyone every come back and said "I'm so and so reporting back to duty?" .... I mean - you would have a different body right? and you get 21 years off - someone could just show up and say that they're whoever, using the name of some deceased member - or actually you don't want to do that cuz they treat you so poorly but you could say you were LRH ....lol - that's a good idea - someone should show up and say that they're LRH and they've come back - Miscavige would sh*t his pants - and the then the new LRH could close the CO$ down but put Miscavige in the hole first or whatever that's called that punishment thingee - whaddaya think? I just come up with this stuff - great idea huh? Thank you for this important tribute to the very talented Tignous, an unsung heroes of our cause in France. Great small tribute to Tignous. I wish he could have known that the great L. Ron Hubbard melted an emeter with electricity overcharging through it, in Hubbard's attempt to exorcise a trouble "body thetan" from himself near the end of Hubbard's life. This Emeter melting incident is in Lawrence Wright's book, final 3 pages, with the despairing admission of Hubbard that Hubbard admitted he'd failed. A cartoon of Hubbard melting his Emeter and saying "I've failed", with some "body thetans" still not leaving Hubbard, in the end, is truth that ought to be have been cartoon shown. Hubbard was incapable of getting his bad science fiction "serious" Scientology mad exorcism of "body thetans" back out of his own mind. Hubbard gave himself even too big of a mental fiction to come out of, and now his movement has Hubbard's bad "case" of false images to get themselves free of.